We’ve rounded up a hefty list of U-Cut tree farms around the Portland area, from Scappoose to Tualatin. Brave the frigid temperatures and be rewarded with complimentary hot chocolate and cider, plus family-friendly activities to make your outing ho-ho-happy. Furrow Farm: Hop on the tractor for a free ride to the U cut Christmas tree patch or to the cattle barn in their animal farm. Furrow also offers mistletoe, wreaths, garlands, and tree stands for sale. 25877 NW West Union Rd, Hillsboro. 97124. 503-647-5288. Monday to Friday 10 am until dark. Weekends 9 am until dark. Hagg’s Tree Farm is offering a free Noble Fir tree to the first 1,000 active duty military families to visit the farm this season (military ID required). 18175 SW McCormick Hill Rd, Hillsboro. 503-628-1007. Weekdays from 10 am to 5 pm, weekends from 9 am to 5 pm. Hamburg 4D Tree Farm provides sheared and natural trees up to 14 feet tall along with hot chocolate and apple cider with a cup of chili. 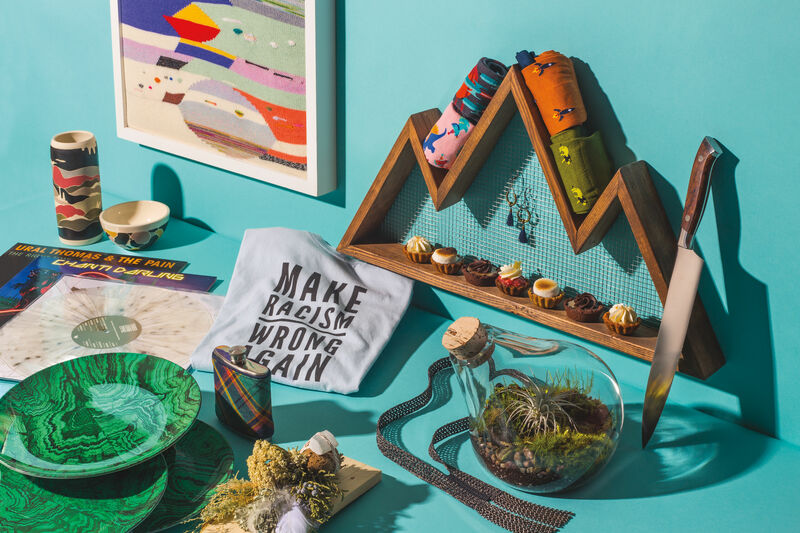 Trimmings will be provided for the creatively-inclined to assemble a holiday swag. 36731 SE Hauglum Rd, Sandy. 503-668-8007. Friday – Sunday from 9 am until dark. 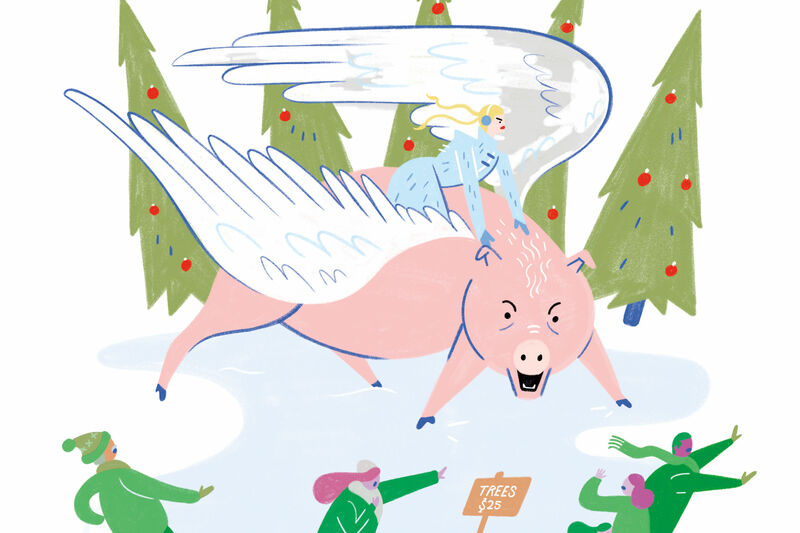 Harrison Road Farm: For those who dread the idea of transporting a 12-foot tree back home, fear not for Harrison Road Farm is offering a home delivery option for the Westside Metro area. 37603 NW Harrison Rd. Banks. 971-777-9235. Saturdays and Sundays: 9:30 am - 4:30 pm. 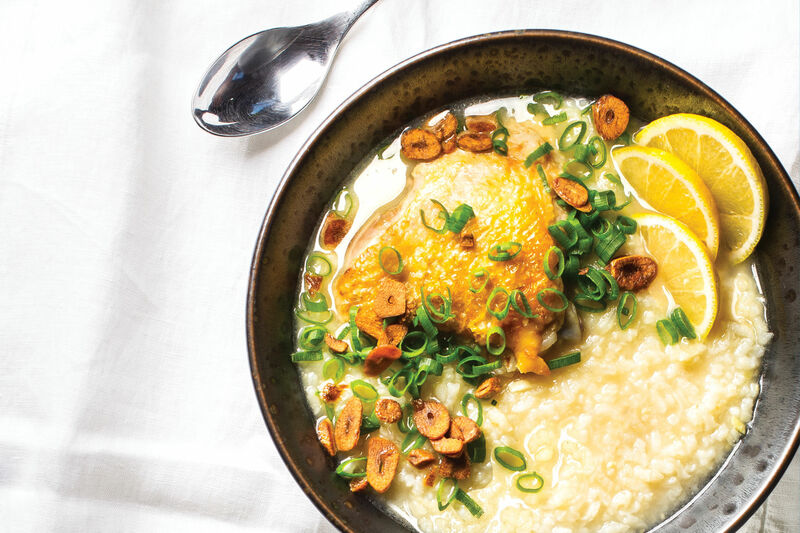 Weekdays by appointment only. 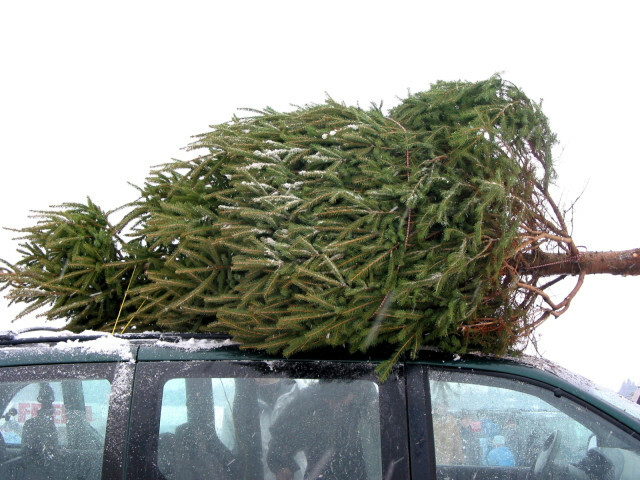 Call 503-564-8559 for tree delivery. Helvetia Christmas Tree Farm has a season full of fun family festival activities from model train extravaganzas to roasted marshmallows. 12814 NW Bishop Rd, Hillsboro. 503-647-5858. Friday – Sunday from 9 am to 4 pm. Historic Kirchem Farm has natural unsprayed Christmas trees in their farm, along with free hot chocolate and wagon rides on weekends (weather permitting). 19723 S Bakers Ferry Rd, Oregon City. 503-539-8602. Weekends from 9 am to 4 pm (6 pm on starlit nights). Weekdays by appointment. Natural Nobles U-Cut: If you are going for no-spray Christmas trees, Natural Nobles offer 100% natural, pesticides- and fungicides-free trees that can remain fresh with no needle drop for up to six weeks. 21888 S Fellows Rd, Estacada. 503-803-1884. Weekends from 11 am until dark. Weekdays by appointment only. Pollard Ranch has more than 35,000 Christmas trees available in their ranch, along with resident wildlife such as deer, elk, and raptors. 13225 NW Skyline Boulevard Portland. 971-238-9799. Wednesday to Friday from 11 am – 4:30 pm. Weekends from 9 am to 4:30 pm. Rainy Mountain Farms: In addition to up-to-22-foot Colorado Blue Spruce trees, be sure to check out the Boer goats and bucks in the animal barn. 49400 SE Marmot Rd, Sandy. 503-351-0965. Fridays to Sundays from 9 am – 4pm. Mondays –Thursdays by appointment only. Reichen Christmas Tree Farm offers U cut Christmas trees of any size for just $40. 8450 NW 185th Ave, Portland. 503-645-4125. Weekends from 9 am to 5 pm. Sleighbells Gift Shop’s main attraction—apart from their tree farm—is their 7000 square feet of display space, carrying thousands of different gift products from potpourri, preserves to porcelain ornaments. 23855 SW 195th Pl, Sherwood. 503-625-6052. Weekdays from 10 am until dark, weekends from 9 am until dark. Victorhill Farm has an array of fresh, natural wreaths (available custom-made) and swags available along with pruned Nobles. 14957 S Leland Rd, Beavercreek. 503-632-6244. Weekdays from 12 pm until dark. Weekends from 9 am until 5 pm. Baggenstos Farm Store: 15801 SW Roy Rogers Rd, Sherwood. 503-590-4301. Fri.1pm-Dusk. Sat. & Sun 10am-4pm, Mon. 1pm-Dusk. Closed Tues, Wed, & Thurs. Beck’s Farms: 16700 S. Gerber Rd, Oregon City. 503-631-7947. Wednesday - Friday: 12pm – 5 pm. Weekends from 9 am - 5 pm. Bob’z Garden Center. 21735 S Springwater Rd, Estacada. 503-631-4585. Weekdays 10 am until dark. Weekends 9 am until dark. Century Farm. 10050 SW Hazelbrook Rd, Tualatin. 503-692-3243. Everyday from 9 am until dark. Christmas Mountain Choose and Cut. 25470 NW Dixie Mountain Rd, Scappoose. 503-621-3169. Wednesday – Friday: 10 am to 4:30 pm, weekends from 9 am - 4:30 pm. Christmas Trees West. 45619 NW David Hill Rd, Forest Grove. 503-939-5511. Everyday from 9 am until dark. Dutcher’s Fresh Produce and Christmas Trees. 33755 SE Compton Rd, Boring. 503-663-4127. Everyday from 8 am until 4:30 pm. Green Ridge Christmas Tree Farm. 3715 Browns Creek Rd, The Dalles. 541-296-3036. Wednesday – Sunday from 9 am to 4:30 pm. Holly Hill Tree Farm. 16060 SW Holly Hill Rd, Hillsboro. 503-628-0202. Weekends from 9 am until dark. JTB U-Cut Christmas Trees. 18124 SE Richey Rd, Gresham. 503-667-3315. Weekdays from 2 pm to 5 pm. Weekends from 9 am to 5 pm. Lee Farms. 21975 SW 65th Ave, Tualatin. 503-638-1869. Everyday from 9 am to 5 pm. Loch Lolly Christmas Forest. 28366 NW Dorland Rd, North Plains. 503-647-2619. Everyday from 9 am to 5 pm. Merrywood Farm. 12328 South Casto Rd, Oregon City. 503-266-9257. Everyday from 9 am to 5 pm. Parry’s Tree Farm. 45627 NW David Hill Rd, Forest Grove. 503-348-9601. Everyday from 8 am until dark. Parson Landing Christmas Tree Farm. 19400 S Redland Rd, Oregon City. Weekends until Christmas from 10 am to 8 pm. Ringle and Son Tree Farms. 22700 S. Beavercreek Rd, Beavercreek. 503-632-8215. Everyday except Monday from 9 am to 4:30 pm. Sauvie Island Farms. 19818 NW Sauvie Island Rd. 503-621-3988. Monday–Saturday 10 am to 5 pm. St. Nick’s Christmas Tree Farm. 16710 S. Gerber Rd, Oregon City. 503-709-7762. Weekends from 9 am to 4 pm. 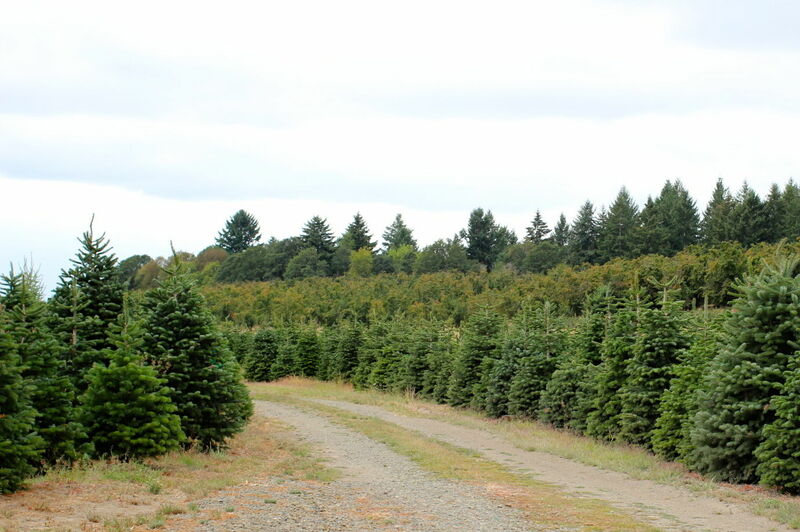 Stroupe Family Farm is offering U-Cut Christmas trees at their Tualatin and Aurora locations. 20200 SW Stafford Rd, Tualatin and 25020 NE Boones Ferry Rd, Aurora. 503-638-1011. Weekdays from 12 pm until dark. Weekends from 10 am until dark. 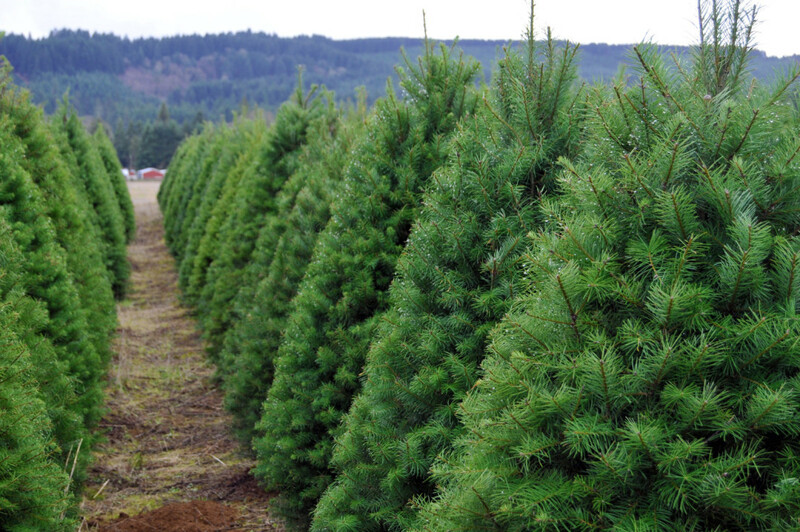 Sunny Day Tree Farm offers natural U cut Noble, Nordmann, and Grand Fir trees—all for $30 each. 25100 SW Neill Rd, Sherwood, OR 97140. Everyday from 9 am until dark. U Cut Nobles offers over 4000, two to 14 foot trees in their 4-acre farm along with saws and twine. 24730 NW Dixie Mountain Rd, North Plains. Everyday from 10 am to 5 pm. Usher’s Tree Farm. 27252 S. Pelican Court, Canby. 503-266-2485. Everyday from 8 am to 4 pm. Wheeler’s Christmas Tree Farm. 19566 S. Central Point Rd, Oregon City. 503-656-5790. Everyday 9 am to 5 pm. White Lane Christmas Tree Farm. 20036 S. White Lane, Oregon City. 503-260-9005. Weekends from 9 am till dark. Windy Hill Acres. 53133 NW Wilson School Rd, Forest Grove. 503-320-7223. Weekends from 10 am to 5 pm.